CAMPBELL –MRS. DELLA GREENE, age 67, of Gillett RD 1, died Sunday morning, January 14, 1979 at St. Joseph’s Hospital in Elmira, after an extended illness. She was born in Ralston, March 10, 1911, the daughter of Matthias and Virgie Ely Campbell. She was the widow of Leroy (Doc) Greene, who died on Oct. 6, 1978. She was an employee of the Swayze Folding Box Company in Canton for 20 years and prior to retirement she worked several years for the Howell Box Company of Elmira. She was a former member of the First Baptist Church of Canton. She is survived by three daughters, Mrs. William (Lucille) Vondechek of Elmira, Mrs. Robert (Marilyn) Wilcox of West Franklin, Mrs. Marvin (Clara) Woodward of Alba; four sons, Louis and Roy Greene, both of Gillett RD 1, Clyde Greene of Vero Beach, Fla., and Gordon Greene of Potsdam, N.Y., another son, Pete Greene, died in July 1977; 33 grandchildren; seven great-grandchildren; two sisters, Mrs. Arnold (Elsie) Greene of Canton RD 2, Mrs. Kenneth (Stella) Ayres of Canton RD 2; two brothers, Glen Campbell of Canton RD 2, and Winfield Campbell of Canton; several nieces, nephews and cousins. Funeral services were held at the Ralph T. Kleese Funeral Home, 40 N. Center Street, Canton on Wednesday, January 17, at 2:00 p.m. with the Rev. Duane Taylor, pastor of the Alba Christian Church officiating. Burial was in East Canton Cemetery. –Canton Independent Sentinel. F. R. ‘RANDY’ CAMPBELL, 79. On the afternoon of Wednesday, Oct. 18, 2000, the Canton community was saddened by the sudden passing of one of the most well known and prominent citizens, Franklin Ransford Campbell. Known to one and all as Randy, he was born in Wellsboro, on March 5, 1921, to Franklin R. and Ethel (Olmstead) Campbell. He was a 1940 graduate of Wellsboro High School. It was during those high school years that he would meet the love of his life. Randy courted a young lady named Winona Priset. On September 1st, 1940, they were united in Holy Matrimony. It was truly a match made in Heaven. During those years of economic uncertainty and instability, these two young hearts, now beating as one embarked on life’s most beautiful adventure. It was often said that Randy and Noni lived on love and bologna sandwiches. This wonderful union would be blessed with four daughters, and would endure for fifty-four years until Noni’s passing in September of 1994. In 1943, Randy answered our country’s call to arms and enlisted in the Navy, serving in the Pacific Theater. After the war, Randy was employed by the A&P Company. In 1953, he relocated his young family to Canton where he managed the local A&P Market. During his career with the company, which lasted into the early 1970’s Randy was transferred to managerial positions in Horseheads, N.Y., and Towanda, but Canton remained his home. He became an active member, an ultimately a life member, of the Canton Lodge #429, Loyal Order of Moose, being enrolled Jan. 10, 1956. He served three terms as Governor, in 1965, 1968 and 1969. He served as District # 4 President from 1986 to 1988. Randy earned the Legion Degree in 1967, the Fellowship Degree in 1970, and the Pilgrim Degree in 1974. He also served as the Canton lodge’s secretary and administrator from 1984 until his retirement in 1998. He was a life member of the Innes Hose Co., a life member of Canton VFW Post #714. Randy was active with his ship’s veteran’s organization. The Mighty Midgets LCS Group, had been active on the Canton Borough Council for many years, and had been a member of the former St. James Episcopal Church in Canton. 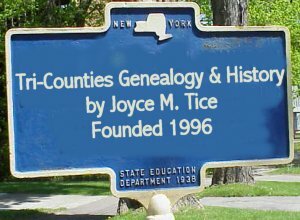 He enjoyed golfing, bowling, fishing (especially for salmon in Pulaski, N.Y.), hunting, camping, playing the organ and singing, performing in minstrel shows, and researching his genealogy on his computer. Randy was deeply devoted to his family. He was the quintessential “Grandpa,” and never failed to attend the activities of his great-grandchildren. Randy is survived by: his daughters, Kay (and Bob) Seeley of Canton RR 2, Sue (and Alan) Hoover of Canton RR 3, Jan (and Gary) Smith of Corning, N.Y., and Loy (and Fran) Leggett of Torrance, Calif.; 12 grandchildren; 15 great-grandchildren; numerous nieces, nephews, step-grandchildren and one step-great-grandson; and a special companion, his cat Toby. He was preceded in death by; his wife, Winona in 1994; and sister, Marjorie Keller, in 1991. Calling hours will be Sunday, Oct. 22 from noon until 3 p.m. at Morse and Kleese funeral Home, 40 N. Center St., Canton. Funeral services will follow at 3 p.m. with the Rev. David Morris, pastor of the Canton Church of Christ (Disciples of Christ) officiating. Interment will follow in the East Canton Cemetery. Those wishing to remember Randy may do so with contributions to Mooseheart Children’s Village, in care of Moose International, Mooseheart, Ill. –Towanda Daily Review. GORDON L. CAMPBELL, 67, of Granville Summit, RR 1, PA died at his home after a lengthy illness on Thursday, April 18, 1996. He was born July 28, 1928 in Wellsboro, PA, son of the late Glenn W. Campbell and Edna (Chamberlain) Campbell of Elcor Nursing Home in Big Flats, N.Y. He was formerly employed by Granville Township for 17 years. Survivors include his wife of 47 years, Shirley M. (Buckley) Campbell; sons, Earl Campbell of Towanda, PA, Robert E. Campbell, of Troy, PA, Gordon Campbell and Fred Campbell, both of Canton, PA; daughters, Galva Losey of Troy, Sharon Groover, Granville Summit and Theresa Benjamin, Ulster, PA; 15 grandchildren and one great-grandchild: brothers, Russell Campbell, Arnot, PA, Glenn B. Campbell of Wellsboro, PA and Leon Love of Elmira, NY; sister, Carolyn O’Connell of Corning, NY and brother-in-law, James E. Buckley Jr., Troy. Mr. Campbell was predeceased by a sister, Alice Cole. Services will be held at the convenience of the family with Pastor Tom Blackall, Alba Church of Christ, officiating and interment to be in East Canton Cemetery. Arrangements were under the direction of the Morse & Kleese Funeral Home in Canton. –Canton Independent Sentinel. CARL –MRS. LUCILLE C. TERRY, 82, a resident of the Bradford County Manor, formerly of Canton, died Thursday, May 1, 1986 at the manor. Mrs. Terry was born Feb. 29, 1904. She was a retired employee with the Swayze Folding Box Company of Canton. She was also a member of the VFW Auxiliary Post 714. Surviving is a son, Robert Terry of Baltimore, MD; three grandchildren; five great-grandchildren and one great-great-granddaughter; one sister, Mr. Myrtle Coombs of Athens, Pa.; two brothers, John Carl of LaMesa, Calif. And Wayne Carl of Athens, N.Y.; nieces, nephews and cousins also survive. Mrs. Terry was predeceased by her husband, William A. Terry on Oct. 30, 1970. Also preceding her in death was a son, Richard K. Terry on April 18 and also her sister, Mrs. Marion Spaulding, also on April 18, 1986. The funeral and committal service will be held Saturday, May 3 at 11 a.m. at the Morse-Kleese Funeral home, 40 N. Center St., Canton with the Rev. Jasper Smith, retired Methodist minister officiating. Interment will be in the E. Canton Cemetery. Friends may call at the funeral home Friday from 7-9 p.m. The VFW Ladies Auxiliary Post No. 714 will hold a dedication service Friday at 8:45 p.m. at the funeral home. CASE –Mrs. Eloise C. Ritz, 79 OF Watkinsville, GA, died there Feb. 26, 1994. Her former residence included Canton, Chester, PA, and Ft. Lauderdale, FL. Mrs. Ritz was born Aug. 3, 1914, in Canton Township, Bradford County, a daughter of Carl and Effie Seeley Case. She was a homemaker. Mrs. Ritz continued her membership at the Alba Christian Church, Alba, but had attended the Watkinsville Methodist Church since residing there. Surviving are: her husband, Ralph; son and daughter-in-law, Joseph and Alice Walter of Bishop, GA; daughter, Miss Marie Freeman of Corning, NY; granddaughter, Mrs. Tanla Bachman of Athens, GA; step-grandson, Trent Dobbs, Bishop, GA; sister, Mrs. Eleanor Taylor, Roanoke, VA; nieces, nephews and cousins. She was predeceased by a husband, Joseph Walter, in 1958. Funeral and committal services were conducted from the Morse and Kleese Funeral Home, Canton on Tuesday, with Rev. David Morse, pastor of the Church of Christ (Disciples of Christ), Canton, officiating. Interment was in East Canton Cemetery. Expressions of sympathy may be directed to a charity of one’s choice in Mrs. Ritz’s memory. –Canton Independent Sentinel. CASTLE –ALMA C. DUDA, 78, of Liberty RR 1, formerly of Cogan Station and New Jersey, died Friday, June 2, 2000, at the Sycamore Manor in Williamsport, Pa. Born March 1, 1922, in Greene County, Pa., she was a daughter of the late Benjamin and L. Virginia McNeil Castle. Alma graduated from Canton High School with the class of 1940. On Feb. 12, 1944, she married the late Albert S. Duda in the East Canton United Methodist Church. Mr. Duda preceded her in death in Dec. 16, 1996, following 52 years of marriage. Mrs. Duda was a life member of the East Canton United Methodist Church. Throughout life Alma was a devoted wife, mother and grandmother. Her hobbies included knitting, reading and traveling throughout the country. She is survived by two sons and daughters-in-law, Charles A. and Linda K. Duda of Liberty, Pa., and Michael S. and Jodi L. Duda of Newport, Pa.; a daughter and son-in-law, Virginia A. and Edward Shrodo of Stony Point, N.Y.; eight grandchildren and two great-granddaughters, a daughter-in-law, Barbara J. Duda of Farmingdale, N.J.; two sisters, Jean Huffman of Canton and Dorothy Schanbacher of Liberty; a brother, Charles E. Castle of Canton; and numerous nieces, nephews and cousins. In addition to her husband, Mrs. Duda was preceded in death by a son, John F. Duda, on May 14, 1997. The family will receive friends from 7 to 9 p.m. Sunday, June 4, 2000, at the Pepper funeral Home, Springbrook Drive, Canton. The funeral service will be held at 11 a.m. Monday at the funeral home with the Rev. Jasper Smith officiating. Interment will follow in the East Canton Cemetery. The family suggests that memorials may be directed to the East Canton United Methodist Church, RR 1, Canton, Pa. in Mrs. Duda’s memory. –Towanda Daily Review. BENJAMIN’BEN CASTLE, 79, husband of Leola E. Castle, Canton RR 1, died at his home on Saturday morning, April 27, 1996. Born June 10, 1916, in Boone, NC, he was a son of the late Millard and Zora Moretz Castle. Ben, as he was known by his many friends, was a well-known area daily farmer, retiring in 1975. On December 20, 1936, he married the former Leola E. Edkin in LeRoy. Mr. Castle was of the Protestant faith. Ben enjoyed horses and was active in pulling contests for many years. He is survived by his wife, Leola of 59 years; six sons and daughters-in-law; Harold E. and Glecia Castle, Millard H. and Sue Castle, all of Canton; B. Clyde Jr. and Sharon Castle, Gillett; H. Richard and Elaine Castle, Mt. Gilead, NC; Avery L. and Lorna Castle, Canton; Cecil R. and Susan Castle, Troy. Two daughters and sons-in-law; Alberta P. and Harry gates, Harrisburg; and Darlene E. and Glenn Henson, Canton; 23 grandchildren; 29 great-grandchildren; four brothers and sisters-in-law; James W. and Elizabeth Castle; Alfred E. and Phyllis Castle, Frankie W. and Shirley Castle, all of Canton; and Millard I and Phyllis Castle Jr., Bainbridge, NY; three sisters, Lola Stanbery, canton; Ruby Conley, Elmira; and Edith Cole, Sayre; six sisters and brothers-in-law: Eva and John Govus and violet and Thomas Jankowski, all of Elmira; Lela and Jasper Smith and Shirley and Walter Metzger, all of Canton; Mabel and Gerald Avery, Grover; and Edna and Robert Groover, Port Orange, FL; a sister-in-law, Marion Castle, Oxford, NY; and several nieces, nephews and cousins. He was preceded in death by two brothers, Robert Claude Castle, July 13, 1992 and Arnold S. Castle, dec. 12, 1995. The funeral service was held at Pepper Funeral Home, Springbrook Drive, Canton, at 11 a.m. on Wednesday May 1, with the Rev. John Pittenger, pastor of the Loyalsock Baptist Church and Rev. Jasper Smith, retired Methodist minister, officiating. Interment will be in the East Canton Cemetery. Interment will be in the East Canton Cemetery. In lieu of flowers, the family suggests that memorials be directed to the East Canton United Methodist Church Building Fund, RR 1, Canton, PA in Mr. Castle’s memory. –Canton Independent Sentinel. CHARLES E. CASTLE, 83, Canton, PA, died May 27, 2003, at the Williamsport Hospital. Born on April 26, 1920 in Watauga County, NC, he was the only son of the late Benjamin H. and L. Virginia (McNeal) Castle. He graduated from Canton High School with the class of 1938. Mr. Castle was 10 when his family moved to East Canton dairy farm. Always a hard worker, he continued improving the Castle farm, which is now in its third generation. In addition to farming, he drove school bus for over 50 years. First with his father’s bus and in later years he formed the Castle and Huffman Bus Company. He was very active with the Grange all his life. He was a 50+-year member of the Beech Flats Grange No. 336 and also was a member of the Bradford/Sullivan Pomona Grange No. 23. He served for many years as a director for Grange Mutual Fire Insurance. He also was a member of the East Canton United Methodist Church, the East Canton Cemetery Board of Directors and was a district forest fire warden. Spending time together with his family is what he cherished. He loved to read and enjoyed hunting for deer. Surviving are: his wife of nearly 50 years, Marian, at home; son and daughter-in-law, Charles L. and Becky Castle, Canton; grandchildren, Stephanie, Jessica and Spencer; sisters and brother-in-law, Jean (Jack) Huffman, canton and Dorothy Schanbacher, Liberty; many nieces, nephews and cousins; and many wonderful friends. A sister, Alma Duda; and brothers-in-law, Albert Duda and Gordon Schanbacher, predeceased Mr. Castle. The funeral was held at the Pepper funeral Home, Canton, May 30 with the Rev. Jay Morris, East Canton United Methodist Church, officiating. Burial was in the East Canton Cemetery. Those who wish may make memorials in Mr. Castle’s name to the Beech Flats Grange c/o RR1, Box 294, Canton, PA or to the East Canton United Methodist Church, RR 1, Canton, PA. –Canton Independent Sentinel. ROBERT B. CASTLE. On the afternoon of Saturday, Oct. 20, 2001, Robert Bynumn Castle of Tioga, Pa., and formerly of Canton and Liberty, went home to be with the Lord while at Soldiers & Sailors Memorial Hospital, Wellsboro. He was 79 years of age. Born in Boone, N.C., April 15, 1922, he was the son of Robert Smith Castle and Martha McNeil Castle. Bob grew up in West Lafayette, Ohio, and was a 1939 graduate of Central High School. The family moved to a farm in Canton Township in the early 1940’s and bob worked as a farmer for awhile before entering the service. After serving our country with the U.S. Army, Bob attended Mansfield State College (now Mansfield University), graduating with a bachelor’s degree in science. He earned his master’s degree in education at Penn State University. Bob began his career as a science teacher in the fall of 1952 at Liberty High School a career which would last three decades. During his first year of teaching, he courted the love of his life, Pauline Watling. On Jan. 10, 1953, they were united in marriage. Together, they shared 48 years and raised two children. The Castles settled in the vicinity of Liberty, where Robert enjoyed such pastimes as hunting and fishing, and was a member of the East Point Fish & Game Club. He was also known as being the ultimate gardener, cultivating more than 300 blueberry bushes on his property. Bob took his gardening quite seriously, and had been a member of the Sebring Grange. His dedication to youth extended beyond the classroom. He served as a scoutmaster with Troop 20 in Liberty. In 1982, Bob retired from teaching, a few years later, when their home stood in the path of highway improvements, the Castles relocated to Tioga Township. Not one to sit idle, Bob went to work for Hall’s Homes and Lumber Co. until health reasons prevented him from continuing. Bob was a very –self-confident, deep-thinking intellectual man, well-known for his independent spirit, dry sense of humor and unpretentiousness. A man of principle, he always stood his ground when he knew that he was right about something. He was also known for his deep abiding faith in the Lord, and was an active member of the Calvary United Methodist Church in Lawrenceville. Bob is survived by his wife of 48 years, Pauline, at home; son, Thomas (Nancy) Castle of Canton, Ohio; daughter, Laurie (Don) Ross of Indianapolis; brother, Joseph (Ellen) Castle of Canton, Pa.; sister, Marilyn (Willis) Gray of Canton, Pa.; ten grandchildren; and numerous nieces, nephews and cousins. He was preceded in death by his sister, Libby Krise. Calling hours will be from 7 to 9 p.m. Wednesday at Morse & Kleese Funeral Home Inc., 40 N. Center St., Canton. Funeral services will be conducted from the funeral home at 2 p.m. Thursday, Oct. 25, with the rev. Gary Weaver, pastor of Calvary United Methodist Church and the Rev. Bill Lusk, the former pastor, officiating. Interment will follow in East Canton Cemetery. Memorial contributions may be directed to the Calvary United Methodist Church, 6 Franklin St., Lawrenceville, Pa or the Lawrenceville Lions Club. –Towanda Daily Review. ROBERT S. CASTLE, 84, of Canton, died Sunday, March 11, 1979, at the Bath Veteran’s Hospital following and extended illness. He was born July 22, 1894 in Boone, N.C., a son of Ebenezer and Nancy Rominger Castle. He was a retired farmer and carpenter, a member of the East Canton United Methodist Church, the Canton VFW, and he was a veteran of WWI. H is survived by his wife the former Martha McNeil; two daughters, Mrs. Willis H. Gray of Canton, and Mrs. Robert F. Krise of Cottonwood, Ariz.; two sons, Joe M. Castle of Canton, and Robert B. Castle of Liberty; two sisters, Mrs. Ethel Fortuna of Wheeling, W.Va., and Mrs. Lilly Price of Boone, N.C.; nine grandchildren; and four great-grandchildren. Funeral services will be held Wednesday at 2 p.m. at the Morse funeral Home in Canton with the Rev. Jasper Smith, pastor of the Ward Methodist Church, officiating. Interment will be in the E. Canton Cemetery. Friends may call at the funeral home Tuesday, 7-9 p.m. and Wednesday, 1-2 p.m. –Towanda Daily Review. EARLE W. CLARK, 83, of Canton RD 1 died at Troy Community Hospital, on Sunday afternoon, April 8, 1979, after an extended illness. He was born in Troy Feb. 14, 1896, a son of Charles and Harriet Warren Clark. He was a member of the East Canton United Methodist Church and also the Minnequa Grange No. 754 where he held many offices. Also, he was a member of Pomona Grange, both state and national, and a member of the Canton Senior Citizens Club. His wife Effie Bates Clark died in 1974. Surviving are four daughters, Mrs. Donald (Elaine) Morgan of Horseheads, Mrs. Prentice (Marjory) Baumunk of Canton RD 1, Mrs. John (Charlene) Scholtz of Wellsboro and Mrs. Harriet Carpenter of Virginia; 12 grandchildren and seven great-grandchildren; one sister-in-law, Mrs. Maude Rauscher with whom he resided in Canton RD 1; one sister, Mrs. Raymond (Marion) Chilson of Alba. Funeral and committal services will be held at the Ralph T. Kleese Funeral Home, Canton, Wednesday at 11 a.m. The Rev. Larry Clark, his pastor, will officiate. Burial will be in East Canton Cemetery. –Towanda Daily Review. CLINTON –BEATRICE KESCHL, age 85 of Canton RD1 died Monday, May 29, 1978 at the Robert Packer Hospital in Sayre, born August 10, 1912 in Williamsport, she was the daughter of Charles and Alice Merrick Clinton. She is survived by two sons, Robert Bump of Gillett, Dennis Keschill, Piscataway, N.J.; four daughters, Mrs. Keith (Joyce) Brown, Canton, Miss Beverly Bump, Philadelphia, Mrs. John (Sharon) Walters, Canton, Mrs. Joseph (Diane) Lovelace, Summerville, N.J.; one sister, Mrs. Inez Molehorn, Dolphin; one brother, Lawrence Clinton, Orlanda, Fla.; half-sister, Mrs. Ethel Johnonnis, Canton; 15 grandchildren; several nieces and nephews. Private funeral services and committal services were held Wednesday at 2:00 p.m. at the Morse Funeral Home, Canton with Warren Carnwright, minister for Jehovah Witnesses officiating. Interment was in East Canton Cemetery. Donations may be directed to the American Cancer Society. –Canton Independent Sentinel. CHARLES CLINTON died Saturday morning, March 9, 1935, had he lived until March 25, he would have been 73 years old. Surviving are his widow; four daughters, Mrs. Frank Melhorn, of Dauphin; Mrs. Calvin Pierson, of Florida; Mrs. F. E. Johonnis, and Beatrice Clinton of Canton; two sons, Joseph of Lansing, Michigan and Lawrence of Canton; fifteen grandchildren and one great-grandchild. The funeral was held Tuesday afternoon from his late home, and interment was made in East Canton Cemetery. –Canton Independent Sentinel. Ronald COLTON, 82, long-time resident of Alba, PA died Wednesday, morning, October 30, 2002 at the Troy Community Hospital. Ronald was born February 4, 1920, at the family’s home. He attended both the Bunyan Hill and Windfall schools. On May 18, 1951, Ronald married Beverly Wilmarth in New Milford, PA. Shortly afterward they made their home in Alba. Ronald’s lifelong employment was in the meat processing business. He owned and operated a butcher shop in Milan for many years. Ronald enjoyed people’s company all his life and after retiring he was happiest when working at the family’s produce stands in Canton and Alba. Mr. Colton was an active member and deacon emeritus of the Alba First Christian Church (Disciples of Christ). He held a seventh-degree membership in the Minnequa Grange No. 754 and belonged to the Good Sam and Tom Jack Indian camping clubs. Surviving are; his wife of 52 years, Beverly; daughters and a son-in-law, Bernita and Joseph Renzo of Canton and Shirley Bentley of Canton, PA; sons and daughters-in-law, Ronald Zane and Lorelei Colton of Alba, PA and Randle and Lou Ann Colton of Columbia Cross roads, PA; grandchildren, Stacy (Jennifer) Ferguson and Canton, Kylee (Andy) Sentyz of Philadelphia, Karla Ferguson of Canton, John Richard Holton, of Canton, Laura (Matt) Landis of Canton, Jennifer (Brad) Wilson of Sayre, Melissa Colton of Mansfield and Samantha Colton of Columbia Cross roads; nine great-grandchildren; a sister-n-law, Bernadine (George) Herlt of Greenville TX; many cousins and special friend, Gary Ferguson of Canton. In addition to his mother, Grace Colton Porter, Ronald was predeceased by grandchildren, Kirk Gary Ferguson, in 1975 and Lindsay Anne Colton, in 1984. The funeral service was held on November 2 at the First Christian Church of Alba (Disciples of Christ) with his pastor, the Reverend Thomas Blackall, officiating and interment to be in the East Canton Cemetery Arrangements were in charge of the Pepper Funeral Home in Canton. Memorials may be directed to the First Christian Church of Alba’s music department, PO Box 6, Alba, PA 16910, in Mr. Colton’s memory. CLINTON O. CORNELL, 62, of 110 Lycoming St., Canton, died June 22, 1989 at Divine Providence Hospital, Williamsport. He was born Sept. 7, 1926 in Seligman, Missouri, the son of Leroy and Rosanna Skelton Cornell. He retired in 1982 as the terminal manager and co-owner of Delmot Motor Express Inc., in Canton. He was a World War II Army veteran; a life member of Canton VFW Post 714; member of Brooks-Flick American Legion Post No. 49 in Troy; life member of Canton Moose Lodge No. 429; life member of the National Rifle Association, charter member of the North American Hunting Club in Minneapolis, Minn.; member of the National Geographic Society, the Bass Angler Sportsman Society in Montgomery, Ala., and the International Brotherhood of Teamsters Local No. 829, Elmira, N.Y. He is survived by his wife, Gene Delmot Cornell; three sons: Robert Delmot Cornell of Canton and his fiancé, Nellie Fives; Wayne Clinton Cornell of Forksville and Frank Leroy Cornell of Newburg, N.Y.; two daughters, Lonna Rene Boyles and her fiancé, Jeff Englert of Forksville and Connie Frances and husband, Daniel Bergquist of Wellsburg, N.Y.; two sisters, Mrs. Marcell Merrick of Canton and Mrs. Lorene Wilks of Brownfield, Texas; 10 grandchildren; nieces, nephews and cousins. He was predeceased by a sister, Mrs. Clarissa Percival; a brother, Aubrey Cornell and a granddaughter, Denise Ann Cornell. The funeral service will be Sunday, June 25, at 1 p.m. at the Morse and Kleese Funeral Home, 40 N. Center St., Canton, with the Rev. Jasper Smith, retired Methodist minister officiating. VFW Post No. 714 will accord full military honors. Interment will be in East Canton Cemetery. Friends may call from 6-8:30 p.m. Saturday at the funeral home. Canton Moose No. 429 will hold a memorial service for their departed brother at 8:30 p.m.
CORNELL –MARCELLA S. MERRICK, 81, former long-time resident of Canton, PA, died unexpectedly March 8, 2005 at the Sayre House, Sayre. Born on February 27, 1924 in Seligman, MO, she was a daughter of the late LeRoy and Rosanna (Skelton) Cornell. As a young woman, she and her family moved to the Canton area following her father’s death. After graduation from Canton High School, she married a young man from Barclay Mountain by the name of Harold M. Merrick. They made their home in Canton. She was a member of the First Baptist Church of Canton for many years. Mrs. Merrick’s love and devotion for her family and home guided her life. Family get togethers and holiday dinners were her favorite times. In addition to working in her flower garden and feeding wild birds, she liked to crochet and was a talented quilter. She made many beautiful quilts for family and friends. Most recently she enjoyed being voted Valentine Queen at Sayre House and was a member of their Red Hat Society. Surviving are her children: Marilyn and Philip Barry, Sayre; and Gary and Sharon Merrick, Eckton, MD; grandchildren: Zann (Jessica) Merrick and their children, Clara and Alayne; Angie (Rusty) Morgan and their children, Melinda and Marissa; Christa (Kevin) Frantz and their children; Christopher and Katie; and Amy (Ryan) Roudloff and their children, Dillin and Colton; step-grandson, Philip Barry Jr. (Renee) and their children, Nicholas and Haley; several nieces, nephews, cousins, and special friends. In addition to her beloved husband, Harold, who died in 1990, Mrs. Merrick was predeceased by sisters, Lorene Wilks and Clarrisa “Chris” Percival; and brothers Clinton and Aubrey Cornell. Her family invites friends to call 12-1 p.m. Thursday, March 10 at the Pepper funeral Home, Springbrook Drive, Canton. The funeral service will follow with retired minister Rev. Jasper Smith officiating. Burial will be in East Canton Cemetery. Pall bearers will be Bryan Roudloff, Zann Merrick, Kevin Frantz, Rusty Morgan, Philip Barry sr. and Philip Berry Jr. Those who wish may consider a memorial in Mrs. Merrick’s name to the American Lung Association, 90 Campbell Street; Suite 207, Williamsport, PA. –Canton Independent Sentinel.Memorial donations may be made to the Canton Community Nursing Service in Mr. Cornell’s memory. -Towanda Daily Review. JOB CRANDLE died Wednesday, May 5, at his home in this place after a 15 weeks’ illness of heart disease and complications, at the age of 81 years. He was a Civil War veteran, having enlisted in 1861 and served until the close of the war. He was in Company C, 106th Regiment, Pennsylvania Volunteers, and took part in 17 battles. At Fredericksburg he was wounded in the shoulder. His memory was clear to the last, and during the final days of his life he called the roll of Company C name for name. Through the long illness he was a true soldier, never complaining, although his suffering was intense at times. During these trying days he lived over again the days of the war, and told to those around his bedside many incidents of historic value. He was a member of Ingham Post, Grand Army of the Republic and for 50 years a member of the Methodist Church. His wife died 15 years ago, and his surviving relatives are: sons and daughters, Mrs. C. M. Fitzwater, Canton; Mrs. Peter Freeman, Grover; Mrs. Fred Benedict, Savona, N.Y., Edward Crandle, Buffalo; Inez, Dubois; George and Cora at home; 14 grandchildren, and seven great-grandchildren. The funeral was held Saturday afternoon in the Methodist Church and interment was made in East Canton Cemetery. –1945 Canton Independent Sentinel, 25 Years Ago article. (Born Aug. 13, 1838, died May 5, 1920. CRAYTON –ADALINE STONE, 72, Senior Citizens Building, Towanda, died May 15, 1988, at Memorial Hospital, Towanda. Mrs. Stone was born Sept. 12, 1915, at Franklin Township, Bradford County, a daughter of William and Clara Compton Crayton. Surviving are three sons, Lawrence Stone, Canton RD 2, Carlyle Stone, Towanda RD 5, and Leslie Stone, Fayetteville, NC; two daughters, Mrs. Henry (Barbara ) Garrison, Millerton RD 2, and Miss Janet Stone, Towanda; three brothers, Arthur and Albert Crayton (twins), Monroeton RD, and William Crayton, Montrose; two sisters, Mrs. Flora O’Connell, Monroeton RD and Mrs. Robert (Blanche) Reed, Lake Mary, FL; 11 grandchildren; one great-granddaughter; nieces, nephews and cousins. Mrs. Stone was predeceased by her husband, Sylvester V. Stone, on March 31, 1982. The funeral and committal service were held Wednesday, from the Morse and Kleese Funeral Home, Canton, with the Rev. Douglas Graybill, pastor of the Canton Mennonite Church, officiating. Interment was in E. Canton Cemetery. Memorial donations may be directed to a charity of one’s choice in Mrs. Stone’s memory. –Canton Independent Sentinel. ROBERT LEWIS CRIMBRING, 95, died quietly Feb. 19, 2005, at his home in East Canton. Born on June 10, 1909, in Duboistown, Pa., he was the son of the late Frederick T. and Lillian Gurr Crimbring. He grew up in Williamsport, (where he sang in the boys’ choir at Trinity Episcopal Church) and Sullivan County. He graduated from Estella High School and received a post graduate degree from Williamsport High School. He moved to Canton in 1931 where he worked on the Hartung Dairy Farm, where he met and married the love of his life, Elizabeth Hartung. They soon moved to East Canton, operating a small dairy while at the same time pursuing his greatest interest, that of beekeeping. They also acquired several orchards and were in the “apple business” for many years. Bob was a bee inspector for the state from 1938 until his retirement, served as Secretary of the Pa. State Beekeeper’s Association for seven years, and in 1971, received a Pa. State Beekeeper of the Year Award. Both the fruit and honey businesses afforded Bob and Betsy the opportunity to spend their winters in Florida where they were avid fisherman. He was a member of the East Canton Methodist Church and had served there as a trustee, Sunday School Superintendent and teacher. He was also a long time member of the Beech Flats Grange and acted as an insurance agent for the National Grange. Robert is survived by his three children, Roberta and Florin Harbach of Temple, Pa., Lea Crimbring of Canton and Glenn and Yvonne Crimbring also of Canton; seven grandchildren, Cheryl and John Heberling, Karen Grim, Michael Harbach and Christine Harbach all of Reading, Deborah and Martin Morse of Canton, Wade and Angie Crimbring of Palmyra, Pa. and Betsy and J. Scott May of Canton; 10 great-grandchildren; and one great-great-granddaughter. He was predeceased by his beloved wife of 57 years, Elizabeth Hartung Crimbring, brothers Frederick and John, great-grandson Michael Grim and step-son George Blackman. Visitation will be from 10 to 11 a.m. Saturday, Feb. 26, at the East Canton Methodist Church, followed by a memorial service at 11 a.m. with retired minister and good friend Jasper Smith officiating. Burial will be in East Canton Cemetery. Flowers will be provided by the family. Donations may be made in Bob’s memory to the East Canton Methodist Church, RR1, Box 73, Canton, Pa or a charity of one’s choice. Arrangements are in the care of the Pepper Funeral Home, Canton, Pa. –Towanda Daily Review. CRONSHEY –MRS. LUCILLE C. MCCOY, wife of Dr. Orlo G. McCoy died Wednesday morning, Oct. 15, 1969 at her home in Canton. Mrs. McCoy had suffered a heart attack in the Spring on Good Friday while visiting in Rochester, N.Y. She was hospitalized there for several weeks, returning home and convalescing for some time, she was able to partially resume activities. Born in Newark, N.J. on April 27, 1911, she was the daughter of Reuben Cronshey and the late Mrs. Cronshey. The family later moved to Towanda where Mr. Cronshey now resides. The former Lucille Cronshey became the bride of Dr. Orlo G. McCoy on July 9, 1938 in a garden wedding at her parent’s home. The deceased graduated from Mansfield State College in 1933 with a Bachelor of Music Education Degree and continued her education with postgraduate work in music at Columbia University, New York City. A gifted vocalist and musician, Mrs. McCoy was active in school, church and community affairs. She served as choir director at St. Luke’s Church in Smethport and a member of the First Presbyterian Church of Canton where she was choir director for 20 years. Active in the Canton Music Club, she directed the club and community chorus. She taught music at Canton High School for a semester. Mrs. McCoy was a member of the Smethport Chapter, Order of Eastern Star. At the time of her death she was a patroness in Delta Phi Chapter Sigma Alpha Iota Sorority of Mansfield State College. Besides her husband, she is survived by three daughters, Mrs. W. Frank (Judith) Coole of Mansfield; Mrs. Bob (Susan) Buchanan of Coudersport; and Kathryn C. at home; three grandchildren; her father, Reuben Croshey of Towanda; a sister, Mrs. Phyllis Setser of Sayre. The body is at the Morse Funeral Home, 12 E. Main Street, Canton. Viewing hours will be on Thursday, 3:00-5:00 and 7:00-9:00 p.m. Funeral services will be held on Friday at 2:00 p.m., at Morse Funeral Home wit the rev. Leonard C. Bergman officiating. Pallbearers will be Dr. Robert Sanford of Mansfield, Dr. Wayne Allen of Athens, Donald Thomas, Dr. J. K. Young, Charles Krise and John Osipovitch. Interment will be in east Canton Cemetery. –Canton Independent Sentinel. CROWELL –HARRIET N. BENEDICT, whose death occurred at her home in Canton, Jan. 23, 1897, was born at East Haddam, Conn., Oct. 19, 1815, and moved with her parents to East Smithfield, this county, when she was but a child. She was married to Samuel Benedict, Sept. 28, 1835, and soon after went to housekeeping in Springfield township where they resided until 1847, when they moved to Elmira, N.Y., living there until about 1856 when they moved to this place where they resided until their death, her husband dying Feb. 11, 1884. She and her husband united with the old-time Christian church at Smithfield soon after their marriage, and after moving to this pace they united with the Church of Christ but embraced the Second Advent Doctrine, remaining in that faith until their death. She was a Christian wife and mother, a kind neighbor, always willing to overlook the faults of others in her efforts to bring them nearer to Christ. She was the mother of five boys, four surviving her death, one (S. N. Benedict) dying about 1858. Those remaining are B. Benedict, E. C., F. E. and H. J. Benedict. Buried E. Canton Cemetery. -Canton, Feb. 2, 1897. CLEMENT H. CRUMM, 88, a well known resident of Canton Borough, died quietly at Troy Community Hospital on the morning of January 23, 2000 after a long, brave battle will illness. Born Mary 19, 1911, in the once thriving, but now vanished Tioga Co. lumber town of Leetonia, he was one of two boys born to Alouie and Lulu (Repard) Crumm. As a young lad he grew up in this community which was owned by the Central PA Lumber Company. His father was head sawyer at the local mill. By the time he was in his teens, the family had moved to Jersey Shore, where he attended Jersey Shore High School and was quite active with their football and basketball teams. He graduated with the class of 1928 and went to work in a silk mill. A tall, handsome athletic man, he continued to be involved in sports in his spare time through his church’s softball league. It was while pitching at a game in Canton, down by the present site of the War Memorial Pool, that a local girl in the crowd caught his eye. Thus began his five year courtship with Janet Louise Foster. They were united in marriage in 1940. When Mr. Crumm became employed by Curtis-Wright Aircraft of Buffalo, NY, he and his wife relocated to that area. After V-J Day, the Crumms and their young son, Thomas returned to Canton. He was employed for a while with Remmington-Rand and made the long commute to Elmira every day. Eventually he was hired by the PA Liquor Control Board as manager of the State Store in Canton, a position which he held for over 20 years until his retirement in 1973. Mr. Crumm was an avid railroad fan, both model and prototype, his early days in Leetonia, in retrospect, seemed to him like being part of a gigantic model train layout. Memberships included Canton Lodge #429 Loyal Order of the Moose, the Wheel Inn Club, and the PA Association of Retired Employees; was a dedicated member of the former First Presbyterian Church of Canton, as well as its successor, the Canton Ecumenical Parish, where he served in many capacities, both official and non-official. Like the Levities of the Old Testament, Mr. Crumm took it upon himself to tend to the necessary tasks of God’s House, such as simple maintenance, filling the candles at the altar and publishing the church newsletter. He was also an active member of the HIS Sunday School class. He was always in the mood for that time-honored small town tradition of visiting on the front porch. Surviving are his wife of 59 years; Janet at home; son; Dr. Thomas E. and Sara) Crumm, Indiana, PA; grandsons, Jonathan and David Crumm. He was preceded in death by his brother Claude in 1992. A memorial service and celebration of his life will be held Jan. 29 at 2 p.m. at the Canton Ecumenical Parish, 43 N. Center St., Canton, with his pastor, Nancy Lee Goff and former pastor, Rev. Richard Barner, officiating. A private interment will take place in the East Canton Cemetery. Memorials may be directed to the Canton ecumenical Parish or the American Cancer Society, 413 S. Main Street, Athens, PA. Professional services have been entrusted to the Morse and Kleese Funeral Home, Canton, PA. –Canton Independent Sentinel. DAHLGREN –VICKI RICHART, 56, well-known Canton educator, died unexpectedly Monday, Nov. 15, 1999, at the Williamsport Hospital following a brief illness. Vicki was one of two daughters born to Wilfred L. and the late Ruth Irene Fry Dahlgren on Jan. 31, 1943, in Williamsport. Vicki graduated from Pensacola High School, class of 1960. As a young woman she was a member of Pensacola’s McIlwain Presbyterian Church, where she was active in the church’s music ensemble. Following graduation, she attended Belhaven Bible College in Jackson, Miss., until 1962. Vicki then transferred to Bloomsburg University, where she received a bachelor’s degree in elementary education. On Dec. 20, 1963, Vicki married James O. Richart at the Hughesville Baptist Church. The young couple moved to the Canton area to make their home and start a teaching career that would span the next several years. Mrs. Richart taught sixth grade for many years at Canton and most recently worked as a Title One Math Lab teacher. In earlier years she taught at the former Leroy School House and the Ralston Head Start. She retired with a master’s degree in education on June 11, 1999, serving the school district and students for many years. Vicki’s main interest throughout life were her family, home and church. She loved sewing, knitting, crocheting and working with crafts. Vicki also enjoyed the outdoors, gardening, horseback riding and student-flying in preparation for their pilot’s license. Vicki was an active member of the East Canton United Methodist Church. She was involved in choir and Sunday school and was editor of the church’s newsletter. She was a member of PSEA, NEA, Canton Education Association, Towanda Pilots Association, and a member of the former Canton Mothers Club. Mrs. Richart supported many school activities and sports, including coaching girls’ basketball, girls’ bowling and keeping score for many softball and basketball games. She was instrumental in the organization of the Leroy Little Queens Girls’ softball team. In addition to her father, Wilfred, of Hughesville, Vicki is survived by her loving husband of 35 years, James, at home; a son and daughter-in-law,, Mark and Deidre Richard of Athens, Pa.; a daughter and son-in-law, Jodi and Michael Duda of Newport, Pa.; four grandchildren, James and Trevor Richart and Rachel and John Duda; her sister, Debra Bailey of Brookville, Pa; several nieces, nephews and cousins. Mrs. Richard was predeceased by her mother Ruth Irene Dahlgren in 1963. The family will receive friends at the East Canton United Methodist Church from 6 to 7:30 p.m. Thursday, November 18, 1999. A memorial service will immediately follow at 7:30 p.m. with the revs. William Lusk and Jasper Smith officiating. Interment will be held 11 a.m. Friday in the East Canton Cemetery, Canton Township, Pa. The family suggests that memorials be directed to the East Canton United Methodist Church Memorial fund, RR 1, Canton, PA. Donations will be directed by the family for special projects in Mrs. Richart’s memory. Arrangements are under the direction of the Pepper funeral Home, Spring Brook Drive, Canton. –Towanda Daily Review. EARL DEAN, 78, On the afternoon of Friday, March 7, 2003, longtime Canton resident Earl Howe Dean died at his home surrounded by his loving family. He was 78 years of age. Born in Snedekerville, on May 23, 1924, he was the son of Earlest and Mary Loudenslager Dean. Earl was a man who was wee-acquainted with hard work. In his earlier years he was employed by Vickery’s Hatchery in Columbia Cross Roads. Later he worked as a machine operator for the Swayze Folding Box Co. in Canton, retiring in 1989. Earl’s favorite pastimes included vegetable gardening and taking care of his cars. His reputation for automotive maintenance was well-known among the area mechanics. He was also an avid walker and, as long as health permitted, could be seen early each morning on the streets of Canton. In recent years Earl became an ardent fan of girls’ softball, especially when his granddaughters were playing. Earl is survived by his wife of 34 years, the former Faye Raplee, at home; sons, James Dean of Canton and Dennis (and Lisa) Dean of Ogdensburg; granddaughters, Kristen, Katrina, Stacy, Michelle and Megan Dean; grandson, Matthew Dean; brothers, Richard (and Cindy) Dean of Troy; sisters, Bertha (and Robert) Wolfe of Columbia Cross Roads and Beverly (and Stanley) Bennett of Elmira; brother-in-law, Richard Earle of Canton; sisters-in-law, Helen Dean of Elmira and Janice Dean of Gillett; an aunt, Elizabeth Chaapel of Muncy; and several nieces, nephews and cousins. He was preceded in death by his sister Rachel, and brothers, Harold, Manning and Robert. Calling hours will be Monday, 7 to 9 p.m. at the Morse and Kleese Funeral Home, 40 N. Center St., Canton. Funeral services will be held Tuesday at 1 p.m. at the Church of Christ (Disciples of Christ), East Union Street and Minnequa Avenue, Canton, with the Rev. David B. Morris, his pastor, officiating. There will be a viewing at the church one hour prior to the service. Interment will follow in the East Canton Cemetery. Memorial contributions may be directed to the American Cancer Society, 1948 E. Third St., Williamsport, Pa. –Towanda Daily Review. DELMOT –GENE D. CORNELL, 66, of 79 Lycoming St., Canton, died Wednesday, July 7, 1993, at home. She was born on July 18, 1926 in Canton, Bradford County, Pa., the daughter of Frank and Erma Rogers Delmot. She was a homemaker and a devoted mother. Gene was a former owner of Delmot Motor Express until 1978. She was a member of the Canton Ecumenical Parish. She was also a member of the Canton Women of the Moose and the VFW Post No. 714 Auxiliary. She enjoyed camping and nature and was a talented oil painter. Surviving are three sons and their wives. Robert D. and Beverly of Wellsburg, Wayne C. of Canton and Frank L. and Rosemarie of Greenfield, N.Y.; two daughters and their husbands, Lonna R. and Jeffrey Englert, Forksville, and Connie and Daniel Berquist, Wellsburg; eight grandchildren, one great-grandson; and several cousins. She is also survived by her much loved cat of 15 years, Cody, and her dog of two years, Tinkerbell. Mrs. Cornell was predeceased by her husband and friend, Clinton Cornell in 1989; a granddaughter, Denise Cornell in 1972; and a special friend, Kathryn Powell, in 1989. The funeral service will be held Sunday, July6 11, at 2 p.m. at the Morse and Kleese Funeral Home, 40 North Center St., Canton. Interment will be in east Canton Cemetery. Visitations will be held Friday from 6 to 8 p.m. and Sunday from 1:30 to 2 p.m. at the funeral home. Memorial donations in Mrs. Cornell’s memory can be directed to the Canton Ambulance Association, P.O. Box, Canton, Pa. –Towanda Daily Review. DRAKE –MRS. MILDRED VANDEVORT, 89, of 10 South Minnequa Ave., Canton, died Saturday, March 12, 1988 at the Sherwood Rest Home, Leroy, Pa. She was born June 1, 1898, the daughter of Christopher and Lena Drake. Mrs. Vandevort was a member of the Canton First Church of Christ (Disciples of Christ). Surviving are a cousin, Mrs. Catherine Benson of Canton; a niece, Mrs. Frank (Carla) Walk and nephew, Jack Mason, both of Las Vegas, Nevada. She was preceded in death by her husband, S. L. Vandevort. Also preceding her in death were a brother, Robert Drake and sister, Alice Mason. The funeral and committal service will be held Tuesday, March 15, at 1 p.m. at the Morse and Kleese Funeral Home, 40 N. Center St., Canton, with the Rev. David B. Morris, her pastor, officiating. Burial will be in the East Canton Cemetery. Friends may call at the funeral home from noon until the time of the service. –Towanda Daily Review. ALBERT S. DUDA, 74, a longtime resident of the Northern New Jersey area, died quietly on December 16, 1996 after a long, brave battle with cancer. He was born March 29, 1922, in the old polish section of Brooklyn, NY known as Green Point to Simon and Wladislawa (a.k.a Violet) Duda. When Albert was bout two years of age, the family relocated to Linden, NJ, where he spent the formative years of his life. When the Second World War broke out, he enlisted in the Army Air Corps where he served as a medic. On February 12, 1944. He married Miss Alma May Castle of Canton Township. Together they shared fifty-two years and were blessed with three sons and a daughter. The Duda family moved to Edison, NJ, in 1961. For most of his working life, he was a truck driver with various companies in North Jersey, retiring in 1984 from the A. C. Berwick Transportation Co., Woodbridge, NJ. Mr. Duda was an avid golfer and hunter much of his life and enjoyed the great outdoors, but he enjoyed his role as a shop steward in the Teamsters’ Union as well. For him there was an indescribable satisfaction derived from a job well don at the collective bargaining table. When he knew that he had helped bring about the best possible contract he knew that he had done his best as a provider for his family and the families of his co-workers. After his retirement, Al and Alma moved to Cogan Station and were then in closer proximity to Alma’s home town. He was a member of the American Legion Post No. 1 of Williamsport and attended the East Canton United Methodist Church. Besides his wife, Alma, he is survived by sons, John F. Duda, Howell, NJ, Charles A. Duda, Liberty, and Michael S. Duda, State College; daughter, Virginia A. Shrodo, Stony Point, NY; a sister Wanda DeBiasio, Avenel, NJ; six grandchildren and a great-granddaughter. He was predeceased by brothers, Alfonse and Henry Duda, and a sister, Helen Drozdowski. The funeral was held December 19 at Morse & Kleese’s, Canton, with the Rev. Jasper Smith, retired Methodist minister, and the Rev. Jeffrey Patton, church pastor, officiating. Interment was in East Canton Cemetery. –Canton Independent Sentinel. EDKIN - CASTLE Leola Age 90, of Canton, PA, died April 3, 2005 at the Bradford County Manor. Leola Edna Edkin was born on March 2, 1915 in Mawr Glen, PA. She was one of 11 children in the family of Henry and Addie Brown Edkin. On December 20, 1936, Leola was married to Benjamin Castle in Leroy, PA. She now rejoins her beloved Ben who died in 1996. She attended the East Canton United Methodist Church and enjoyed memberships with Canton's Senior Citizens and the Canford Manufacturing Retirees. A loving, supportive mother and grandmother, Leola was also a busy homemaker and farm wife. She worked outside the home for a time at Canton's Canford Manufacturing, and retired in 1980. Leola was an avid flower and vegetable gardener who canned for her family each year. She particularly loved growing her favorite flower, the gladiolas. Leola also enjoyed reading, crocheting and bingo. Surviving are six sons, Harold (Glecia) Castle, Millard Castle and Avery (Lorna) Castle, all of Canton, H. Richard (Elaine) Castle of Mt. Gilead, NC, B. Clyde (Sharon) Castle of Gillette, Cecil (Susan) Castle of Troy; two daughters, Alberta (Harry) Gates of Harrisburg, Darlene (Glenn) Henson of Canton; 23 grandchildren, several step grandchildren, numerous great-grandchildren, and eight great-great-grandchildren; two sisters, Laura Edkin of Canton, and Mary Reese of Zionsville; a brother, John Edkin of Forksville; many nieces and nephews. Besides her husband of 59 years, she was predeceased by two sisters, Minnie Wilber and Rozella Edkin; five brothers, LeRoy, Bertiss, Corson, Arthur and Lester Edkin; a daughter-in-law, Susanna Castle; a great-grandson, Chad Castle; and a granddaughter-in-law, Christy Castle. Services will be held 11 a.m., Friday at Pepper Funeral Home, Canton. Friends may call one hour prior to the service. Burial will be in East Canton Cemetery. Family will provide flowers, memorials may be made to East Canton U.M. Church, RR1 Box 73, Canton, PA 17724, or Guthrie Hospice, RR1 Box 154, Towanda, PA 18848. EDWARDS –ENOLA RYAN, 78, Canton and formerly of New York, NY, died peacefully at her home, August 13, 2005. Born on September 3, 1926 in St. Croix, Jamaica, she was the daughter of the late Harry and Martina (Tamberg) Edwards. She was employed as a nurse’s aide for over 25 years at Elmhurst Hospital in New York City until retiring in 1986. In 1987 she moved to Canton to raise her children. She especially loved traveling. She shared many wonderful memories of cruises and casino trips she had made. She also appreciated jazz music and like knitting to keep herself busy. Her family wishes to express their heartfelt gratitude to the people who watched over her. A special thank you to Becky Baker and the Guthrie Hospice team. Surviving are children; Ivy Francis, Bronx, NY; Garnett Ryan, Virgin Islands, Michael Ryan, Queens, NY; Ann Ryan, Brooklyn, NY; Kenny Williams, Harlem, NY; grandchildren, Louis Ryan, Canton; Viggo, Troy and Kristian Ryan of Georgia, Myrtle Garnett, Jacqueline, Agnes, Jasmine, Steven and Trey Ryan all of Florida, Pat, Patricia, Gregory and Precyous Tyson, Virgin Islands, Isaiah, Camara, Brenda and Joseph Ryan, Elmira, NY, Nita and Jowell Daniels, New York, NY; many nieces, nephews and cousins. Mrs. Ryan was predeceased by her son, Jewell Francis and a brother, Wendell Edwards. The funeral service was held Aug. 17 at the Pepper funeral Home, Canton with retired minister, Rev. Jasper Smith officiating. Burial was in the East Canton Cemetery. –Canton Independent Sentinel. George C. Edwards, 63, of 48 East Second St., Canton, died Friday, Nov. 27, in Robert Packer Hospital, Sayre. Born Jan. 13, 1924, he was the son of Volney Landon and Ida Edwards Lucas. Mr. Edwards, who was retired, had been self-employed. He was a member of the Canton Moose Club. Mr. Edwards and his wife, the former Jane Reed, observed their 45th wedding anniversary Aug. 12. Surviving, besides his wife, are four daughters, Mrs. Sherri Alexander, Mrs. Sheila Fitch, Georgia Freeman and Mrs. Shelley Holmes, all of Canton; a brother, Edward (Bo) Lucas of Morris Run; and nine grandchildren. Funeral services were held Monday, Nov. 30, at the Morse and Kleese Funeral Home, Canton. The Rev. Richard Leonard, pastor of Grover United Methodist Church, officiated. Burial was made in East Canton Cemetery. EISWERTH –ALBERTA ‘BERT’ M. FROMILLE, 75, (Widow of Anthony Fromille) longtime resident of Canton, RR 3, died Wednesday morning, March 25, 1998, at the Towanda Memorial Hospital. Bert was born Jan. 27, 1923 in Bastress, Pa. She was a daughter of the late Henry and Barbara Brunst Eiswerth. In earlier years Bert and her husband owned an operated Tony and Bert’s Grill in Jersey Shore, Pa. Later the couple acquired the Park Hotel in Canton and together ran the local tavern for 15 years until the 1970s. Following the sale of the Park, they operated the Canton Diner. Bert enjoyed cooking. For the next several years she worked as a cook for her daughter at Passeri’s Restaurant and also for her son at Butch’s Sub Shop until her retirement. She was a member of the Canton V.F.W. women’s auxiliary. Bert was an avid bingo player and she enjoyed animals, especially birds. Throughout life, Bert’s main interest was the love she shared with her children and grandchildren. She is survived by a son and daughter-in-law, Anthony “Butch” and Elizabeth Morgan Fromille of Canton RR 3; a daughter and son-in-law, Diane and Rudy Passeri of Canton; two daughters, Delores White and her fiancé, Scott Liberati of Canton RR 3, Barbie Fromile of Canton, RR 3; 11 grandchildren, Shaw, Shawna and Corey Fromille, Robin Thomas, Angie and Bridget Passeri, Jody Avants, Anthony and yle White, Lisa Carpenter and Danielle Henson; four great-grandchildren; a sister, Delores Kempt of Williamsport; five brothers, Eugene Eiswerth of Warrensville, Pa., Paul Eiswerth of Trout Run, Sylvester Eiswerth of South Williamsport, Ernie Eiswerth and Joseph Eiswerth, both of Williamsport. Bert was preceded in death by her husband Anthony on June 1, 1980; a son, Earl “Geno” Fromille, March 19, 1996; a sister, Marcella Eiswerth; four brothers, Carl, Emerson, Henry Jr. and Robert Eiswerth. The family will receive friends from 7-9 p.m. Friday, March 27, 1998 at the Pepper Funeral Home, Springbrook Drive, Canton. The funeral service will be held Saturday, 1 p.m. at the funeral home, with Rev. Jasper Smith, retired Methodist Minister, officiating. Interment will follow at the East Canton Cemetery, Canton Twp. The family suggests that memorials may be directed to the American Heart Association, 1704 Warren Ave., Williamsport, Pa. in Mrs. Fromille’s memory. –Towanda Daily Review. EROH -MARION E. BAILEY, 75, 10 First St., Canton, died June 29, 1989 at the Towanda Memorial Hospital. Mrs. Bailey was born Sept. 4, 1913 in Hazelton, Luzerne County, the daughter of John and Beatrice (Keithline) Eroh. She was a retired army and civilian registered nurse at Walter Reed General Hospital, Washington, DC; a member of the First Presbyterian Church, Hazelton, and the Church of Christ (Disciples of Christ) in Canton; a member of the Bradford County Republican Women. She is survived by her husband retired Lt. Colonel Ernest M. Bailey, with whom she celebrated their 47th wedding anniversary on April 1, 1989; a brother Robert Eroh, Nescopeck; and several nieces, nephews and cousins. Mrs. Bailey was predeceased by her brother Jack Eroh. Funeral services were held July 1 under the direction of the Morse and Kleese Funeral, with Dr. Rev. Robert MacMillan, American Baptist minister and head of counseling services at East Stroudsburg University, and the Rev. David Morris, pastor of Canton Church of Christ officiating. Interment was in East Canton Cemetery. Memorial donations may be directed to the Canton Ambulance Association or the American Cancer Society in Mrs. Bailey’s memory. –Canton Independent Sentinel.